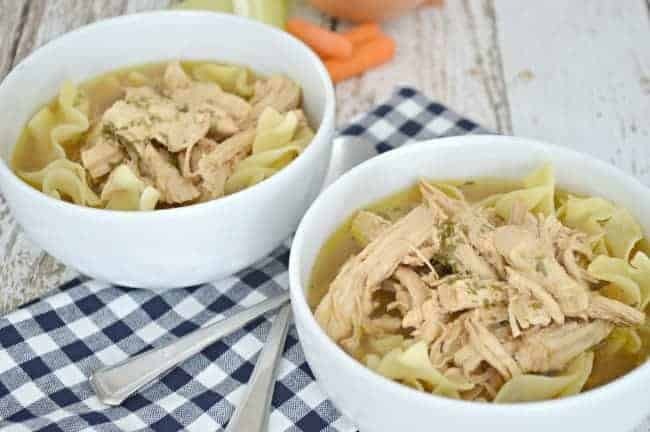 Quick and easy chicken noodle soup recipe. 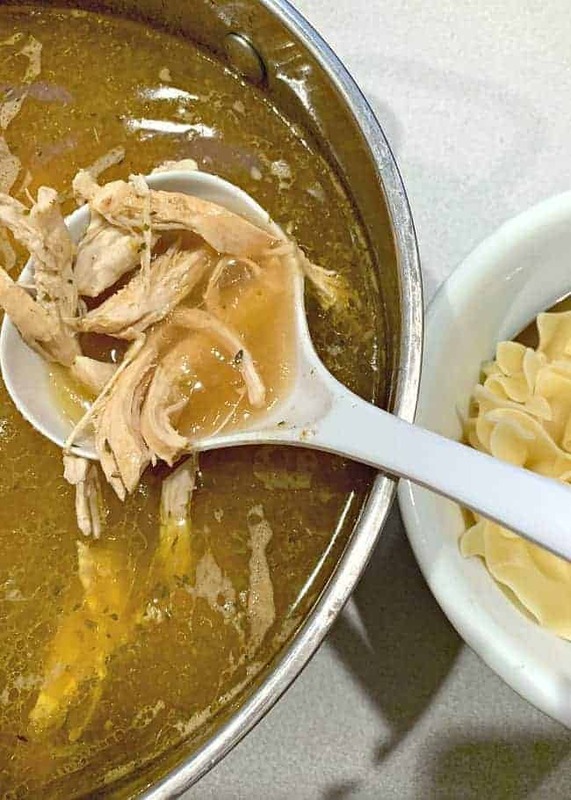 Homemade chicken soup with egg noodles that’s simple to do and so delicious! Do you still find yourself making one yummy recipe that you remember from childhood? 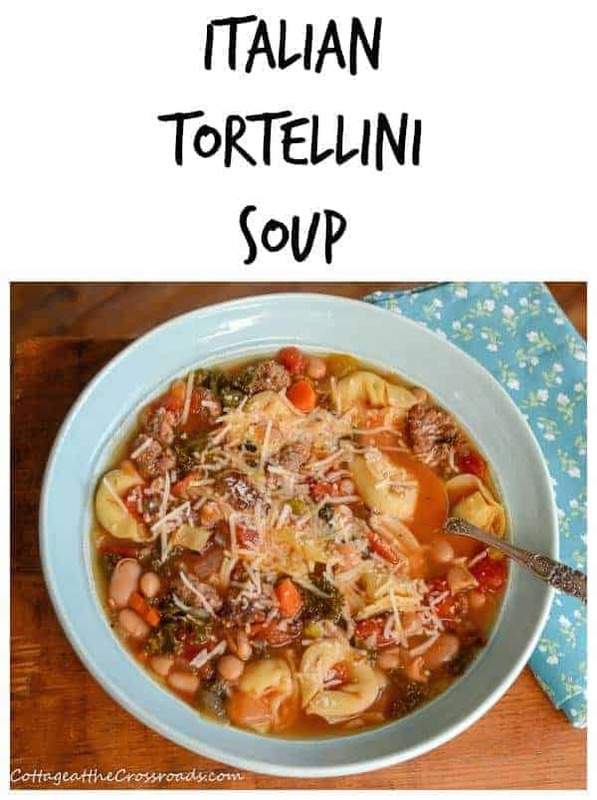 That’s exactly what this soup is for our family. Just like the sour cream coffee cake recipe that I shared, this one comes from my husband’s family. My mother-in-law used to make this for my husband and his brother when they were kids. They weren’t crazy about vegetables, like most kids, so my MIL had the brilliant idea to mash them up before cooking the soup. All the nutrition without them ever knowing that it was good for them. 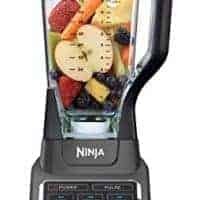 Way back then she used a food grinder but these days we use a blender. 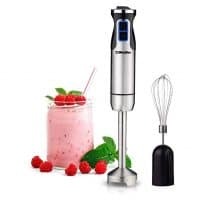 You could even use an immersion blender. Same results…just a different technique. The great thing about this recipe is that you don’t have to spend 20 minutes chopping veggies. 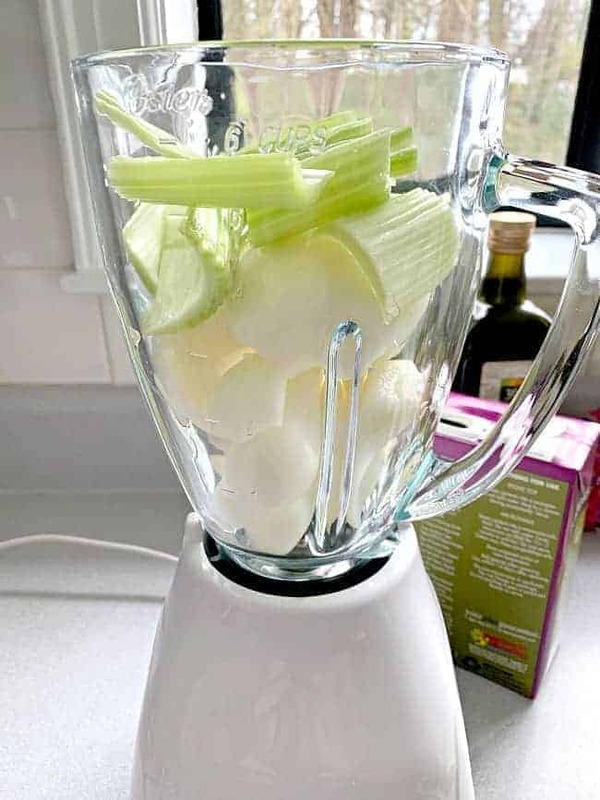 Just pop the onion, celery and carrots into the blender and purée them with vegetable broth. In just a few minutes, you have a healthy broth ready for the pot. 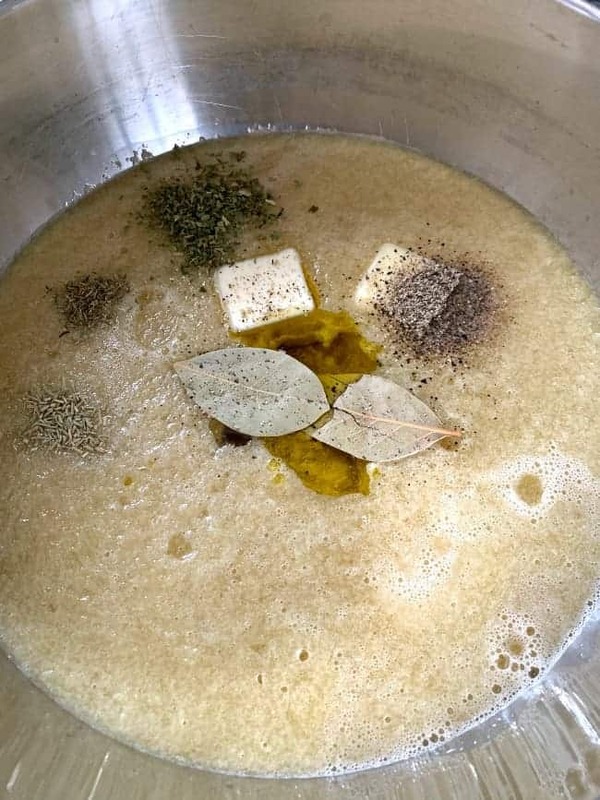 After you pour the broth into a soup pot, you just need to add parsley, thyme, bay leaves, olive oil, butter and salt and pepper. Let simmer for about 20 minutes and then add your 3 chicken breasts. Cook you chicken breasts in your homemade broth for about 20 minutes. Remove chicken, shred into pieces and return to soup. Simmer for an additional 15 minutes. We are serious about our pasta in our house so we have gotten into the habit of cooking it separately, while the soup simmers. No soggy noodles for us! Just make sure you cook the egg noodles just until they’re al dente. They’ll cook a little more once you mix them with your soup. 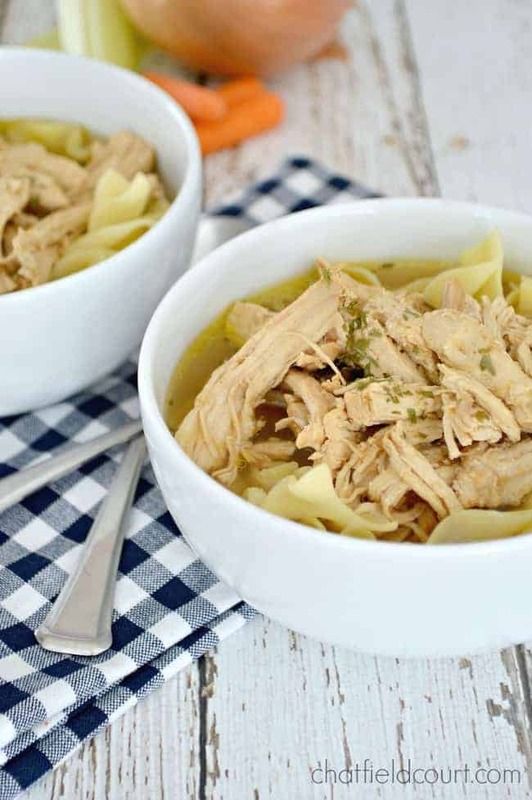 Quick and easy homemade chicken noodle soup that even the pickiest eaters will love. It’s definitely become one of our family’s go-to easy meals. Try this quick and easy chicken noodle soup recipe that the whole family will love. 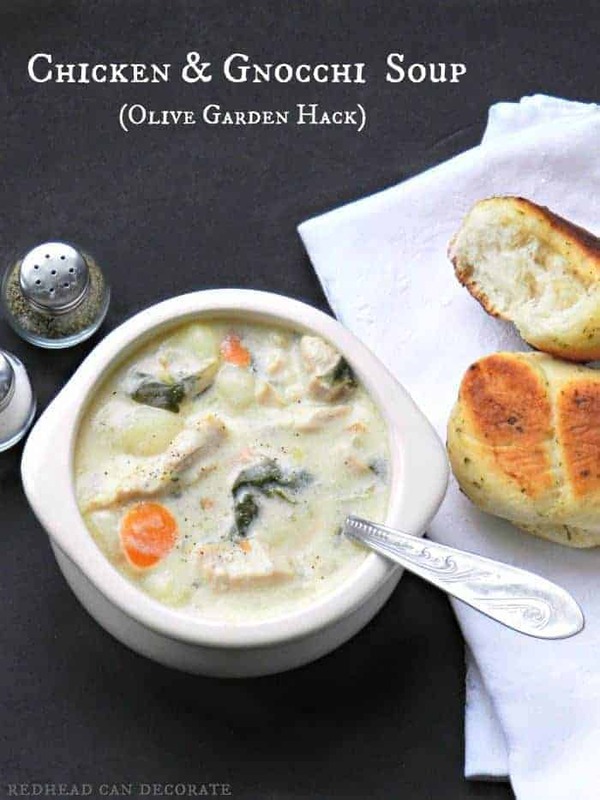 Just a few ingredients to make this delicious homemade favorite. 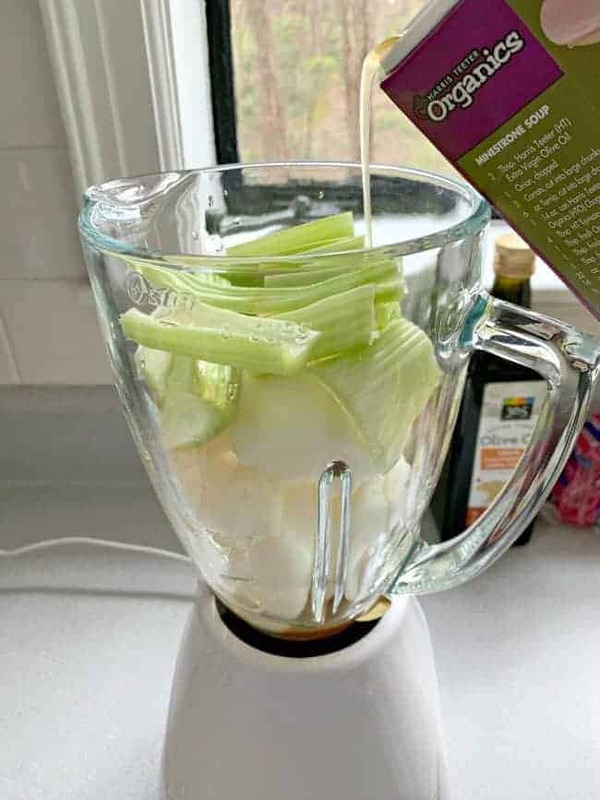 In a blender, puree the onions, celery in 1 quart chicken and vegetable broth. Add olive oil, bay leaf, rosemary, parsley, thyme, salt & pepper. Add 2nd quart of chicken/vegetable broth to pot. Bring to a boil then simmer over medium heat for 15-20 minutes. Add 3 chicken breasts while soup is simmering. Cook on medium until chicken is cooked through (usually 20 minutes). 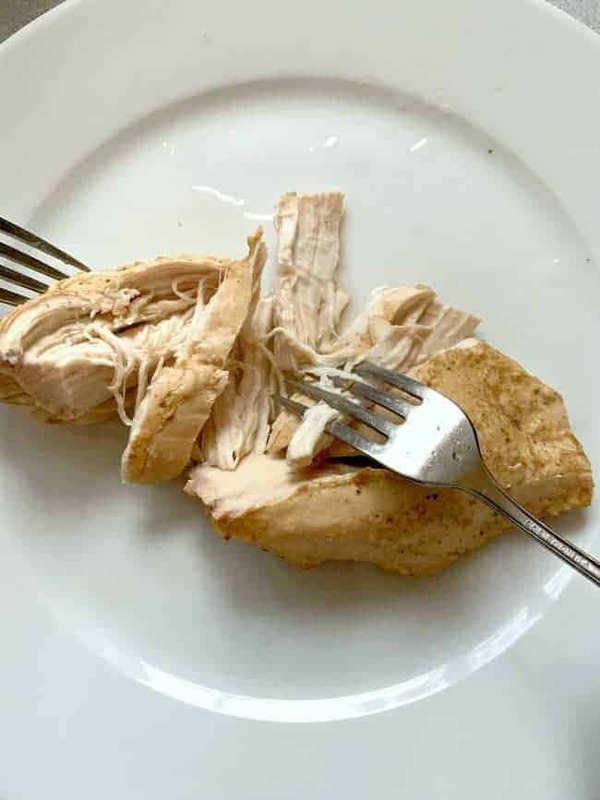 After chicken is cooked through, remove each breast and shred into small pieces. Add shredded chicken back into simmering broth. In a separate pot cook noodles while chicken is simmering. Noodles should be al dente as they will cook some more after they are added to soup. Put noodles in a bowl and add soup/broth. ** To prevent soggy noodles, we prefer to cook our egg noodles in a separate pot and then add them into each bowl before we add the soup. Welcome home Kristi, So nice to see your email today! I think this is exactly what I should have been making to fool my nephew when he was younger! He is 18 now and still loves his chicken soup, however,he still isn’t a big fan of the veggies. . . . now I know what to do about that! 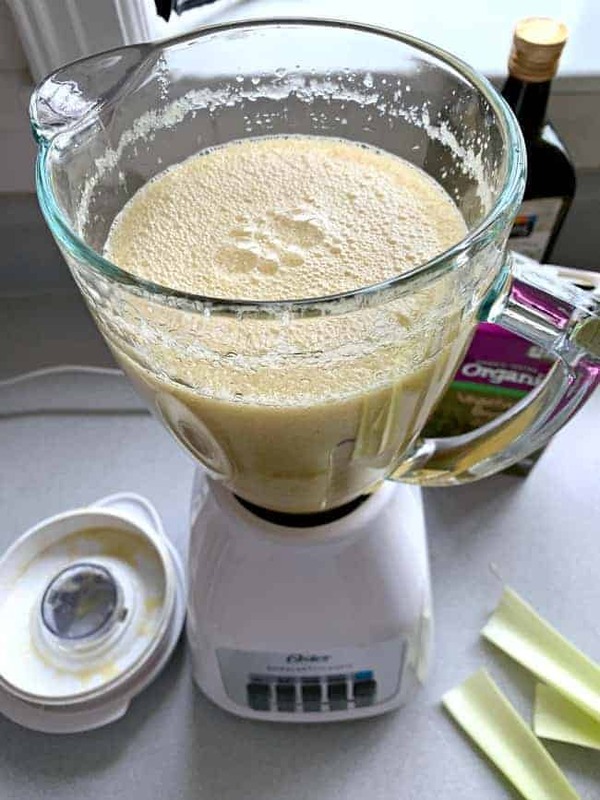 Thank you for sharing this great family recipe! Thanks so much, Kaycee! I’m still not a big fan of cooked carrots so this is a great way to get some of their nutrients into the soup without having to eat chunky carrot pieces. I know they’re in there but I don’t really taste them because they’re pureed (if that makes sense). Maybe your nephew will feel the same way. Worth a shot at least. 😉 I’d love to hear what he thinks if you ever make it for him. 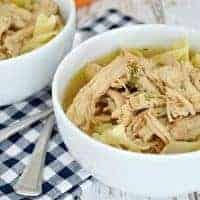 I have one recipe but can always use another and i think there are some differences, i love chicken noodle soup, thanks.